Some of the females and their babies. 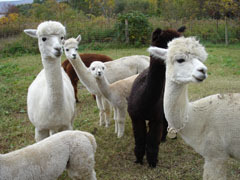 There is Phoebe, Dutchess, Chardonnay, Sandy D and Special D. Quite a site to see. 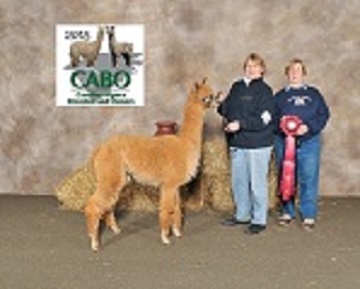 Some of Cleo's females went to the CABO 2015 show in Concord NC and came home with ribbons. This is Cleo's Prize, a bred and owned show girl who will go into the breeding program with her boy, Snowmass Lover's Legend in the fall. 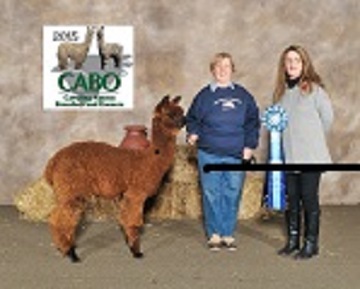 7SAF Cleo's Fortune will continue her show circuit for another year, hopefully doing as well as she did at the CABO 2015 show winning her first juvi blue in her first show. She went on to show at Southern Select and came home with a blue, and at the Kentucky classic, she came home with the blue and the Color Championship banner for females.